violence, and the figurehead for Burma’s struggle for democracy. Recipient of the Nobel Peace Prize, she has dedicated her life to the liberation of her country. An almost first rate biography of Aung San Suu Kyi.Wintle is first to the field with an adult, even academic, biography of the Burmese Nobel Laureate.His research on her time in Japan, New York and Oxford is original and goes into much greater depth than anything else I've seen.Against fairly weak competition, Wintle's is easily the best biography of The Lady and does credit to subject and author. 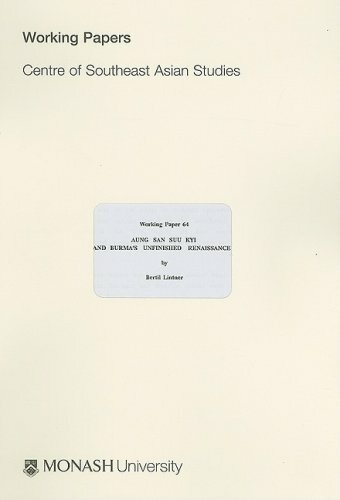 The shortcomings are mainly editorial and can be cleaned up in a later edition.His treatment of the regime's lobbying campaign in Washington (P385) is a mess, mangling even the spelling of names.Merrill didn't succeed Orde Wingate after his death, Joe Lentaigne did.And Myint Oo appears as both a Captain and Colonel in Wintle's recounting of the incident at Danabyu. Don't make too much of these nigglings though becauseminor errors aside, it is an extremely good book. Wintle is an honest, perceptive and mostly careful biographer.Trust him on the main line of the story but be careful of the details. 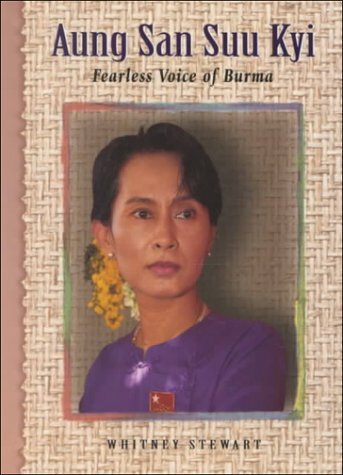 From the winner of the 1991 Nobel Peace Prize, Burma's "woman of destiny"
How wonderful to hear the voice of Daw Aung San Suu Kyi in this collection. Particularly mesmerizing and noteworthy are her writings "In Quest of Democracy" and "Freedom from Fear", which if you're pressed for time, are the must reads of this slender volume. I particularly liked the way she tied democratic principles to Buddhist ideals. DASSK is a remarkable woman and leader, far more than the figurehead her opposition paints her to be. The best writing I've ever read ... about striving democracy in peace... I love That Woman!!!! 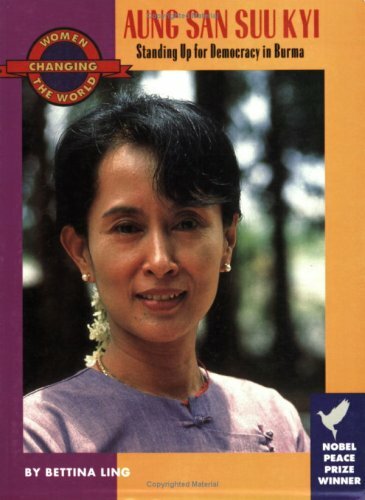 I re-read this book shortly after Aung San Suu Kyi was placed, once again, under house arrest in 2003. The daughter of the man who is referred as the founding father of Burma(today called Myanmar) - Aung San - is herself a major political figure in her country. The chapter about her father - who was assassinated when the author was two years old - is an impressive, informative, and dispassionate account of Aung San's days as a student leader and his leadership of the independence movement that established modern Burma as a nation. My own father was a foreign correspondent in Burma in the late 1940s and had covered the assassination of Aung San and his colleagues. This left me since my childhood with a deep curiosity about this period of Burmese history - and Aung San's daughter's account does not leave curious readers like myself disappointed. 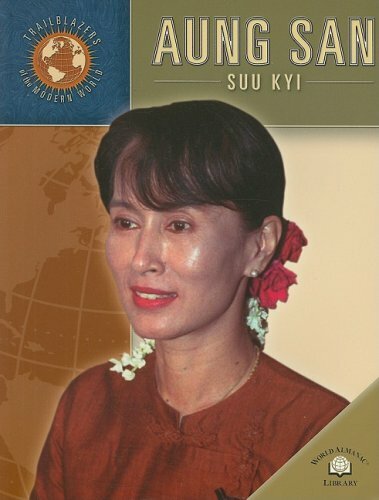 Most of the book is devoted to the life and times of Suu Kyi herself. It includes several articles by other writers who help readers understand how a Burmese woman rises to national prominence in a country which has known but unbroken military dictatorship for decades. This book is also about Burmese culture, religion, and language, and should be on the bookshelf on anyone who has a serious interest in this curious, wretched country of tremendous unfulfilled potential. If you have an interest in Burmese or Southeast Asian history, you might also consider reading Amitav Ghosh's The Glass Palace, a historical novel which I have also reviewed on this website. This book was for me an opener into the evolution of Burma's political scene, and it proved to be a good one. 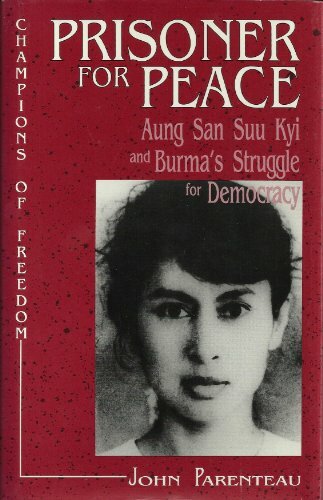 Whilst it takes some time to get accustomed to the many abbreviations of Burma's political parties and factions, once it is gotten used to, Freedom from Fear becomes an essential book for those interested in the becoming of Aung San Suu Kyi - daughter of Burma's national hero, the late Aung San - and her process of fighting and eventually winning the support of the country she always called home depite her international influences. Though Freedom from Fear would be a good book to start learning about Burma's modern political history, I would suggest first reading about pre-colonial Burma to get a better grasp and understanding of the country's stand and place in Southeast Asia. A fascinating & beautifully written book in diary form about Burmese life and culture and the limited imagination, intelligence & brutality of those trying to control it by force. If we let the bad guys win, the human race might as well give up. While there are inspirational human beings like Daw ASSK among us, there is hope for the future. Aung San Suu Kyi, winner of the 1991 Nobel Peace Prize, shows a remarkable character for appreciating the beauty of nature and religion, as well as the savage reality of authoritarian politics.Her writing style is easy and concise, and for those interested in an overview introduction to Burmese culture, religion, and politics, this book could serve as a very good starting point.The "Letters from Burma" are exactly that - a series of letters on a variety of topics about Burma, its people, and its politics.Kyi is of course renown for her commitment to justice and her resistance of tyranny.Readers will begin to see into her mind, her trials and tribulations, as well as the present nature of Burma and its inhabitants.The only fault with this book is perhaps the format.Letters are a difficult way to construct a cohesive, integrated whole, so readers will be left with some task in building their own image from a serious of these 52 portrait-letters. That task, for this gifted writer, should not however be too difficult to discern. Aung San Suu Kyi's letters are a window into Burmese culture, politics and problems the people of Burma are facing today.It is an excellent read, well written and very well worded.As you read this book, you begin to form a mental image of her as a person.Her gentle nature and positive, uplifting attitude show through.It is easy to see why the people of Burma risk their own personal freedom and safety to support Aung San Suu Kyi politically and her party. An eloquently written piece that will be finished in a few sittings, Suu Kyi's Letters from Burma is a collection of short essays she submitted to the Japanese newspaper Mainichi Shinbun. 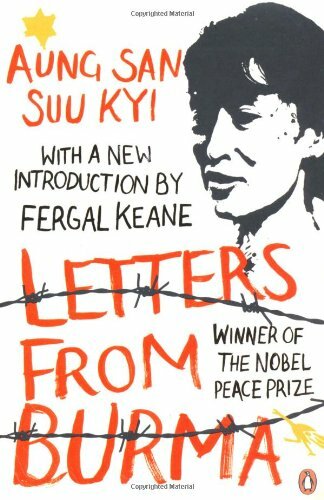 It is likely that because it has been written for a mass audience, you will find 'Letters from Burma' easier to digest than her other books, Freedom from Fear and Voice of Hope. A remarkable politician, she examines Burma through its common people and the everyday lives that are led. As with all of Suu Kyi's books, she takes care to not forget why her party is fighting for democracy - its people. She discusses Burmese politics sans the jargon, allowing this book to be appreciated by everyone, even if new to the situation in Burma. She included in her writings, several wonderful quotes from English, Japanese and Burmese poems, reflecting her regard of the arts. The title 'Letters from Burma' more than merely states the intention of each of the 52 entries in this book. Her entries are personal, light-hearted, frustrated, or balanced. They are addressed to the reader, bringing him/her into the world of Burma, and seeing it as it is for a lay person. She has managed to make getting aquainted with politics so beautiful and enjoyable, through which i suppose she nurtures the concern and interest in matters of her state, that you are likely to re-read certain entries, if not the whole book again once you're through it. Much more than just a book ! Burma is a country where, as one senior UN official puts it, "just to turn your head can mean imprisonment or death." Aung San Suu Kyi is considered to be Burma's best hope for freedom, and, because of her unwavering commitment to nonviolent resistance to the country's brutal military junta, she has been under house arrest since 1989. Elected Prime Minister, she was prevented from taking office, but despite failing health, vilification at the hands of the Burmese media, and actual imprisonment in one of the world's most appalling jails, Suu Kyi has persevered in a campaign of nonviolent protest as unflagging as those of Gandhi, King, and Mandela, which earned her the Nobel Peace Prize in 1991. A lady at the age of forty-one flew back from London to tend her ailing mother at Rangoon General Hospital on 2nd April 1988. This lady is Aung San Suu Kyi( her name means `Strange Collection of Bright Victories' in Burmese language). She is the daughter of the Independent fighter of Burma, General Aung San. General Aung San was assassinated with thirteen bullets of gunshot on 19th July 1947. In the space of thirty seconds, he and his four other ministers were killed immediately on the spot while they were having a meeting at the Secretariat in the government building at Rangoon. Suu Kyi became the icon of Burma's opposition to the Draconian rule of the military regime since General Ne Win assumed power on 2nd March 1962. In the year 1990, her political party, the National League for Democracy (NLD), had won with a huge majority in the first ever held General Election since the junta took over the reign of Burma in 1962.Out of a total of 485 constituencies, the NLD captured a staggering 392 seats. The magnitude of the NLD's success was not just a landslide, it was a nationwide earthquake despite of the fact that Suu Kyi was under house arrest several months before the election was conducted. But the junta refused to honour the outcome of the election. Those elected opposition members from the NLD were intimidated, put into jails, or bought over. With this the junta hoped to make the NLD a spent force with Suu Kyi reduced to a general without soldiers. Suu Kyi was under house arrest for three times with an accumulated duration of more than 6 years in her house at 54, University Avenue,Rangoon, near the Lake Inya(formerly known as Rangoon's Lake Victoria). Utterance of her name was not encouraged and it could be an offence as the junta tried to erase her from the national consciousness. 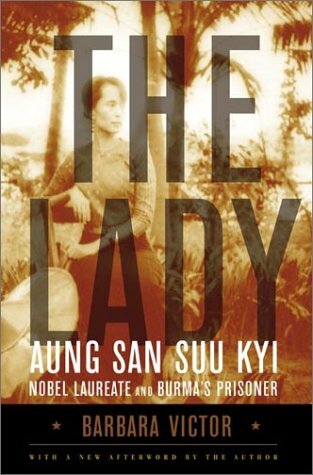 The people in Burma, out of respect for her, generally addressed her as `The Lady' or `The Lady by the Lake'. Suu Kyi has become an eyesore as well as a pain in the neck for the junta as long as she remains in Burma as she has established herself as the de facto opposition leader of Burma. The junta cannot end her life with a bullet in the head or incarcerate her in the notorious Insein prison as she is the offspring of Burma's National Hero, General Aung San, the architect of Burmese independence. The only way the junta could do was to provide Suu Kyi a one-way ticket to leave Burma which she refused to accept. At the time of her husband's demise in the year 1999, the Burmese government allowed Suu Kyi to attend the funeral in England with the condition that she could not return to Burma after that. She again turned down the offer as she wanted to remain in the country to fight for her nation's human rights and democracy. For Suu Kyi the struggle is a persistent and ongoing process until Burma becomes a truly democratic nation. An inspiring story of a woman known as "The Lady of Burma"
Justin Wintle's biography is a well crafted, and thoroughly researched story of a woman who's life has been wrought with more pain and suffering than most people could bear. Imagine not only losing your father, an icon not only to you as a child but an icon to his country, losing your country to vile, murderous dictators and lastly, losing your freedom. That is enough to crush the humanity from someone, but Aung San Suu Kyi has risen from the shallowness of despair to become an icon like her father, perhaps even larger. While the book at times is very textbook-ish, if that's even a word, it is well worth taking the time to read and digest the vast wealth of information Justin has managed to dig up. 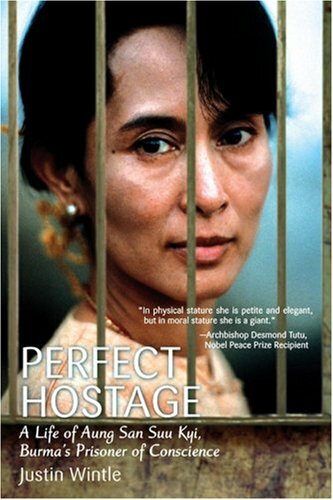 The thoroughness of "Perfect Hostage" not only tells the tale of one woman's struggle with freedom, but a whole nations. From the beginnings of a country to more recent events like the protests led by Buddhist Monks in August of 2007, "Perfect Hostage" is a meticulous history of a nation screaming for freedom, yet not being heard by anyone. Aung San Suu Kyi won the Nobel Peace Prize in 1991 for her dedication to non-violence while fighting for democracy and human rights. She was not allowed by the ruling junta in Burma to attend the awards ceremony, so her sons Alexander and Kim accepted the award on her behalf. She was awarded 1.3 million dollars and chose to use that money to establish health and education trusts for the Burmese people. Some may think of giving this money as another sacrifice on her part, although she would not have thought of it that way. She could have used it to leave the country, start a new life- but that's not what she is about. Aung San Suu Kyi' life is Burma's and Burma is forever indebted to her. The book may seem cumbersome to some readers, it took me quite a bit of time to get through, but the tremendous amount of knowledge one comes away with after reading this book is immeasurable. "Perfect Hostage" is academic, yet elegant at the same time. The detail that has been payed attention to here does not go unnoticed and the reader will come away wondering how such a story could even be playing out in our time. 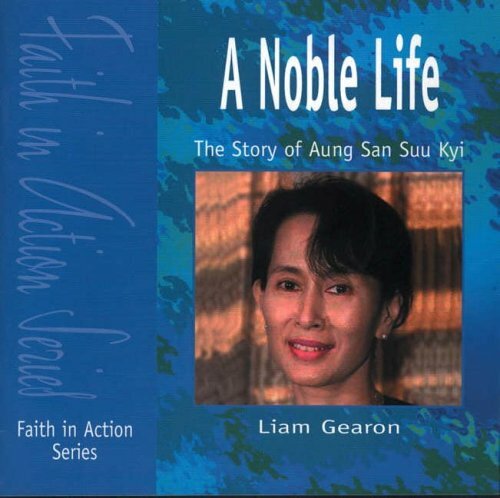 The story of Aung San Suu Kyi, and Burma,is still being written today. Though under house arrest after nearly two decades time, she continues to defy authority in a non-violent manner, by just existing. Justin Wintle has produced a volume that is wide in scope and rich in detail.Readers will be getting more than a life of Aung San Suu Kyi.Wintle introduces briefly the immediate and long term history of Burma, the life of Bogyoke Aung San, Suu Kyi's father, and the story of how a brutal dictatorship came to rule Burma and rename it Myanmar.Aung San Suu Kyi's NLD won fairly the elections of 1990, but was not granted any power by the brutal regime.Following the nonviolent dictates of her conscience, Suu Kyi's commitment to Burma is truly heroic, though not without critics and detractors.Wintle's book will no doubt remain a very important milestone for understanding a very important woman and her very troubled country.Read this book.It is well worth the time spent on it. A respectable tribute to the world's most famous caged bird. The author rights this book out of obvious respect. Yet despite any biases, he presents plenty of new research to back it up. For anyone wanting to uncover the mysteries behind this elegant living martyr, this is a must-read book. Accounts of "The Lady's" true sacrifices, the least of which are being banned from seeing her children or even husband on his death bed are remarkable.There are moments during this read when you feel like you are actually there, sitting in the car with her, waiting for the regime-hired thugs to beat your skull in, or anticipating the next on-slaught. This book, not only prefaces the story of her life with a comprehensive historical background, but also paints the picture of an iron-willed, extremely clever and amazingly patient woman. Such a small, gentle and feminine woman on the backdrop of a brutal regime, riots and often unadulterated chaos make this a read you won't soon forget. Whether you are intrested in Souh East Asian politics, or not, one can't help but respect this woman, if not sympathetically, thanks to the author's masterful brush strokes. This biography does what few other biographies of any leader do - it puts the subject in the proper historical perspective. Starting from the beginnings of the Burmese state, Wintle provides readers with background on Burma. This is useful because it places the country's modern politics in an appropriate frame of reference. For example, Wintle does not avoid the complexities of Burma's ethnic minorities and their long history, which later allows him to show how Aung San and his daughter Aung San Suu Kyi may have been the few leaders to be able to gain the trust of the minorities. I also appreciate Wintle's honest appraisal of Suu Kyi near the end of the book. While Wintle is obviously sympathetic to Suu Kyi (as we all should be), he does ask important questions about the success of her non-violence movement and stubbornness. My only criticism is that the book does not have comprehensive footnotes. While the author footnotes a few interesting articles, there are many other anecdotes and interpretations that should have been footnoted so the reader can check the source and read further if he desires. Aung San Suu Kyi, Nobel Prize Laureate, mother of two, and devout Buddhist, is one of the most inspiring examples of spiritually infused politics and fearless leadership that the world has ever seen. Daughter of the martyred Burmese national hero who negotiated Burma’s independence from Britain in the 1940s, Aung San Suu Kyi was called upon to lead the pro-democracy movement in Burma in 1988. The movement was quickly and brutally crushed by the military junta, and Aung San Suu Kyi was placed under house arrest. The Voice of Hope is a rare and intimate journey to the heart of her struggle. Over a period of nine months, Alan Clements, the first American ordained as a Buddhist monk in Burma, met with Aung San Suu Kyi shortly after her release from her first house arrest in July 1995. With her trademark ability to speak directly and compellingly, she presents here her vision of engaged compassion and describes how she has managed to sustain her hope and optimism. Aung San Suu Kyi is the leader of the National League for Democracy, which achieved a decisive victory in the last Burmese national election, held in 1990. The junta has refused to acknowledge the legitimacy of that vote. She has lived under house arrest for twelve of the last eighteen years. Alan Clements is the author of Burma: The Next Killing Fields? and Burma’s Revolution of the Spirit. Since completion of The Voice of Hope, he has been permanently blacklisted in Burma. VOICE OF HOPE is composed of interviews, primarily with Daw Aung San Suu Kyi, but also with her colleagues U Kyi Myaung and U Tin U from the National League for Democracy.The interviews were all done in the early years after their release from house arrest and prison.It is wonderful to hear their voices.DASSK is of course inspirational.I'd never heard of her compatriots before - and I think everyone would be struck by their innate gentleness, compassion and insight.If only the SLORC (the military-ruled government of Myanmar) would read and take seriously these accounts.They have nothing to fear from these patriots.In fact, as they each tell us, they harbor no ill will towards their persecutors - they are working for democracy for the good of all, including the SLORC.Remarkable and inspiring way of peace and reconciliation.I hope democracy comes soon to Burma. ordained a Buddhist monk, and like all foreign journalists entering Burma, he has also encountered the wrath of the military junta by being deported. Between his extensive knowledge of the domestic situation, and Daw Suu Kyi's wisdom and elegance in answering every question put before her, readers will understand just how Buddhism is closely connected with politics in Burma, and why the concepts of faith and metta (loving kindness) are among the building blocks of any genuine democracy. 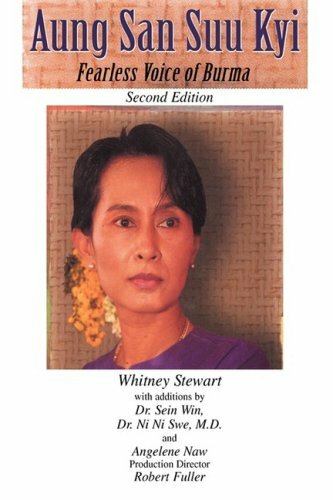 Each chapter is named after a sentence that typifies the beliefs, sacrifice and struggle that best summarise key points in Daw Suu Kyi's existence. It also demonstrates the enormous love that she shares for every person who has risked their life to hear speeches delivered from her compound. She also speaks repeatedly of compassion towards members of the SPDC and declares that they too can show love for the people of Burma. This may surprise readers, but perfectly encompasses everything she stands for. One cannot help but show admiration for any individual willing to risk their life to hear a political icon outline the real situation in Burma, and be prepared to listen to how and why civilians are suffering. In the process of unravelling Daw Suu Kyi's deepest thoughts, Clements uncovers a defiant individual that will not be intimidated by weaponry in the hands of authority, while uncovering the keys to life; love for humanity, education and an open heart. Daw Suu Kyi speaks modestly and candidly in describing her upbringing, the role of her parents in shaping her values, her frenetic daily routine while under house arrest, life abroad and eventual homecoming to Burma, and unrelenting commitment to non-violence. The appeal of the dialogue is that Daw Suu Kyi's answers to some of Clements' lengthy questions and points are presented plainly and with fervour as if addressing a crowd of tens of thousands of her supporters. There is no place for political spin within these pages, which enhances the readability. One theme that resonates through the entire book is the tenacity of the people of Burma and their ability to adopt a sense of humour in spite of the horrific conditions that they face. It takes a special human being to constantly laugh throughout years of suffering. Clements has clearly done his background research to prompt thought-provoking answers from Daw Suu Kyi and in doing so, delivers possibly the greatest insight into the world's most famous female political icon. It is impossible to have conceived the danger facing Clements and Daw Suu Kyi, making the discussions and writing of this publication all the more plausible. Throughout the course of the book, the reader becomes acutely aware of the volatile situation that Burma has faced in recent decades, a scenario sadly prevalent to this day. The facts itself relating to Burma's political, social and economic demise are not new, but Clements aims to provide shock therapy and reveal to the world the extent and frequency of abuse. He succeeds in piercing the heart and soul deeply enough and warn us that if we do not regard Burma as our highest priority, then it is not just the people that face the harshest consequences of tyranny. As a society, we will all carry the burden of watching humans slowly die without directly intervening. This is not only an incredible individual we are learning about more intricately. Daw Aung San Suu Kyi is consistent that her work is only possible through the efforts of her fellow party members, which leads to Clements interviewing with individuals whose voices and actions that been vocal in their opposition to the military junta. He speaks candidly with U Gambira, leader of the All-Burma Monks Alliance and inspiration for the 2007 Saffron Revolution, and influential NLD individuals and scholars U Kyi Maung and U Tin U. Their insights, along with a chronology of the country's recent and international contacts, give readers the tools to ensure that Burma is discussed at every regional and international meeting, and at dinner tables and bars. There is so much at stake now, not just with Aung San Suu Kyi's trial but with the farcical elections due to be held in 2010. Aung San Suu Kyi: The Voice Of Hope reminds us all that the forgotten people of Burma are not just the dead who have been forced to onto their knees for so much of their lives, but the living voiceless. Alan Clements has presented us a manual for life that crudely tells the most powerful leaders on the planet to stop waiting for a miracle to occur. This book is the catapult that will launch individuals into taking immediate action. The message here is loud and clear; use your rights and privileges to help the long-suffering civilians of Burma gain their freedom. Without Aung San Suu Kyi's presence, our world will be so empty. David Calleja is a regular contributor to Foreign Policy Journal and member of Burma Campaign Australia. A singularly powerful and also deeply spiritual testimonial on behalf of a troubled nation. 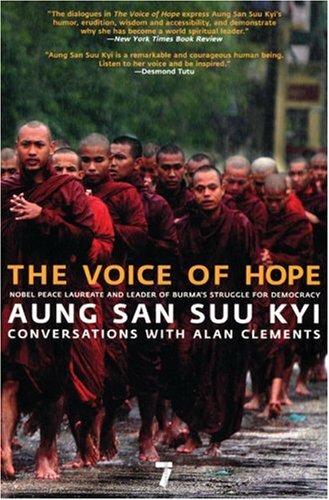 Now in an expanded second edition including an interview with U Gambira (a leader of the All-Burma Monks Alliance that organized the protests of September and October 2007), The Voice of Hope: Aung San Suu Kyi Conversations with Alan Clements is an extensive interview with Aung San Suu Kyi, the Nobel Peace Laureate, mother of two, and practicing Buddhist who led the pro-democracy movement in Burma in 1988. The movement was harshly crushed by the military junta that renamed Burma as Myanmar. Alan Clements, the first American ordained as a Buddhist monk in Burma, met with Aung San Suu Kyi after her release from her first house arrest in July 1995. She delivered her perception of engaged compassion and spoke of how she maintained her hope and optimism despite continued governmental oppression. "You must not forget that the people of Burma want democracy. Whatever the authorities may say, it is a fact that the people want democracy and they do not want an authoritarian regime that deprives them of their basic human rights. The world should do everything possible to bring about the kind of political system that the majority of the people of Burma want and for which so many people have sacrificed themselves." A singularly powerful and also deeply spiritual testimonial on behalf of a troubled nation. In this book, as in "Freedom from Fear" and "Letters from Burma", Nobel Peace Prize laureate Aung San Suu Kyi exposes to the world the grim realities of her land and her people, seen through her very eyes.As always, she is able to jump with great ability from more personal and sentimental accounts of the situation, to hard data, from recollections of her childhood, to perspectives on Burma's future.Always filled with thrill and dense with emotions, her writings are for the expert and the ignorant alike, easy to understand, yet of high value historically and academically.For anyone wishing to know more about Burma and the struggle of her people for human rights, this is must reading. Barbara Victor's The Lady presents the life of Burmese political dissident Aung San Suu Kyi within the larger frame of recent Burmese history, highlighting the glaring human rights violations of the current military regime. Aung San Suu Kyi was born in 1945, the daughter of the famous General Aung San, credited with expelling the Japanese from Burma and negotiating the country's independence from Great Britain in 1947. Assassinated in 1947, the general was a great influence on Suu Kyi, who was aware of Burmese love and reverence for her father from a young age. In 1962, Suu Kyi accompanied her mother, Khin Kyi, to India, where she had been stationed as Burmese ambassador after General Ne Win's successful coup over the democratic government. There, Suu Kyi studied Mahatma Gandhi and Jawaharlal Nehru's teachings of passive resistance, which shaped her later political philosophy. She studied at a Catholic school, at Delhi University, and at St. Hugh's College at Oxford. After working for the United Nations in New York, Suu Kyi married Oriental scholar Michael Aris in 1972, and their sons, Alexander and Kim, were born in 1973 and 1977, respectively. In 1988, she learned that her mother was ill and returned to Burma. In that same year, General Ne Win's resignation from his party's chairmanship led to strikes, pro-democracy demonstrations, and a violent military response. Suu Kyi began to speak publicly in favor of human rights and the free market, gathering popular support. In September, martial law was reaffirmed and the State Law and Order Restoration Council (SLORC) established. Suu Kyi continued to speak publicly against the regime and Ne Win, and was placed under house arrest on 20 July 1989. Knowing that if she fled the country she could never return, Suu Kyi was separated from her husband and sons for the following six years. During her imprisonment, inspired by Nelson Mandela and Gandhi, Suu Kyi continued to speak out as the leader of the pro-democracy movement. Her political party, the National League for Democracy (NDL), won the 1990 elections, which the government ignored. 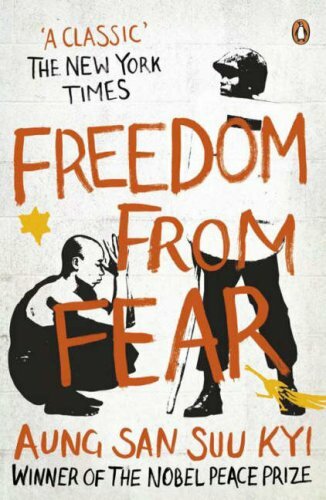 In 1991, Michael Aris edited and published Freedom from Fear, essays written by and about his wife, and Suu Kyi won the Nobel Peace Prize. Suu Kyi refused to negotiate with the SLORC, and was finally released from house arrest on 11 July 1995. The SLORC appointed delegates to a National Convention to write a new constitution in 1993, after which it promised to hold new elections, but Suu Kyi withdrew NDL support from the convention in 1995, when no progress had been made. In 1996, the party began negotiating its own constitution, but ceased when the government began arresting participants. Suu Kyi remains in Burma, unable to return once she leaves. She discourages foreign investment and aid in Burma, hoping to weaken the SLORC, and to negotiate a reduction in the power of the military under the new constitution. Barbara Victor's biography of Aung San Suu Kyi is a combination of traditional journalism, advocacy, and idealization. It attests to Victor's strength as a reporter that she managed to unearth dissenting opinions about Suu Kyi and the SLORC, despite official misinformation. Victor strives admirably to present Suu Kyi's life and work in the greater context of recent Burmese history and the injustices of its current government. However, the book's weaknesses far outweigh its strengths. Primarily, Victor's obvious bias detracts from the book's credibility. Victor writes that the SLORC extracted a promise from her that she would produce "an unbiased and fair book," but she has not done so (Victor 8). Her frequent references to George Orwell (see pp 7, 13, 96, 226), condemnation of the SLORC, and idealization of "The Lady" (Suu Kyi) create a highly unbalanced narrative. 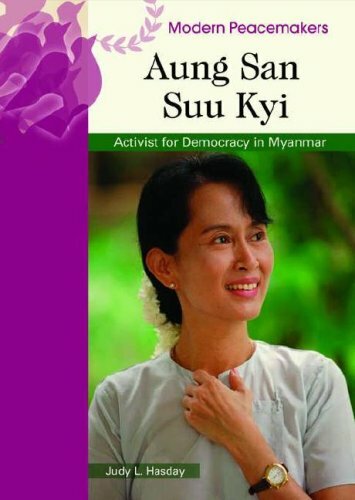 Furthermore, a reliance on casual, catchy, and/or sentimental words and phrases such as "equal opportunity oppressor," when referring to the SLORC, and "destiny" in reference to Suu Kyi detract from the serious tone of the book. In her awareness of the tension between Suu Kyi as a woman and a political leader, Victor tends to write romantically and sympathetically. For instance, in reference to Suu Kyi's relationship with Michael Aris, Victor writes, "[a]s she found herself missing Michael more and more, she realized that a career at the United Nations, however prestigious, would never be as satisfying as becoming his wife and the mother of his children" (51; emphasis added). As Victor does not seem to have had a personal interview with "The Lady," how does she presume to know this? Furthermore, the structure of the book--which does not order the events of Suu Kyi's life chronologically, and intersperses non-continuous episodes with Burmese history, information about Suu Kyi's father, and criticisms of the modern SLORC--adds unwonted complications to an already complex story. Also, the general absence of full dates and occasional discontinuity, such as the year of General Aung San's assassination, given as 1947 in one section and 1948 in another, detract from credibility (46, 72). Victor's obvious passion for her subject and deep sympathy with the Burmese people do not take away from her biography of Aung San Suu Kyi; however, stylistic problems and an unbalanced narrative do. You know,she is our leader of NLD. Now in paperback, the first full account of Nobel Peace Prize laureate Aung San Suu Kyi’s role in the struggle against Burma’s military junta. Included is a new afterword by the author, which covers events from the time of the original publication in 1998 to Aung San Suu Kyi’s release from house arrest in May 2002.